This root tutorial will include CWM recovery, and rooting tutorial on Lenovo Ideaphone A390. Step 2: To install the drivers for the computer, turn off the phone, connect to the computer, the computer will notify the Preloader MT6577 driver installation, unzip the folder driver in the extracted folder run the InstallDriver.exe. After the driver installation is complete you can disconnect the device. Step 3: Open the folder Flash_tool software Flash, click the scatter-loading, choose MT6577_Android_scatter, look for recovery in the unzip folder, click OK. Click the Recovery button below if it is not built (and built by default). 4a. After plugging the phone into the flash-tool will show the power status bar red to yellow then wait for the message "OK" green is successful, then disconnect the phone and you have recovery. After boot in recovery it will ask you to install superSU just drag/swipe to install. NOTE: Internet connection required when rooting because when you open the superSU after reboot it will ask you to download the full root file. You can try, but no guarantee since this is for A390. how do you root a390t? Simple, you can't finish the rooting process. Hi, how is the battery back-up of A390 ? I wanted to purchase it but there are very few reviews for this phone. Sorry for off-topic. Hi, How is the battery-back up? Sorry for OT. is the process here safe? is there a chance of my phone being wrecked? please reply..
Its safe, but then again. DO AT YOUR OWN RISK. Read positive feedback above. Kuya, pano po pag nagawa ko na yung first part tapos ayoko na palang i root. Anong gagawin ko para mawala na yung first part ng rooting ko? tried this..when downloading, suddenly the device ejected itself...cant finished the process... the phone not responding.. tried plugin back and repeat the process.. the flash tool does not detect the phone anymore... any solution? Sir, can i ask something? 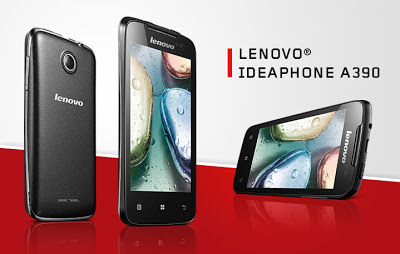 My lenovo a390 lost its android os do you have any android os zip file/s to install it again? My phone is already been rooted, tnx to you again. Without any OS your phone can't boot. I guess your only option is to access recovery mode, and install fresh OS, though I'm not pretty sure how to do that. Anybody knows how to delete contact in this lenovo A390? I can't make it...weird. Please help. When I try to go to recovery mode, all I get is a green robot lying on its side with an exclamation mark. How can I move on from here? Is your phone already rooted? Hi..my lenovo a390 suddenly shutdown and it will never turn on again..when i connected it to the charger it wont charge too.. What seems to be the problem and how can i recover my fone? kapag na root ko po ba ang Lenovo A390 ko po.. ma update kuna po ba ito sa jellybean? will this format the phone? clearing every contacts and apps in the phone? hmmm do you have any updates for lenovo a390 to update into jellybean? is htere any update for lenovo a390 to update to jellybean? I bought this A390 in Thailand to take to Argentina for personal use and, now, in Argentina when I try to use it with a simcard, it doesn,t work. If I root it, would it work???? i got a problem...when the phone is off and i put usb on it....its automatically on and charge my phone...how to let it stay off while usb still on it?? hi tnx ituturo mu din kung paano ma restore yung OS lalo na dun kapag na wipe out yung OS ng lenevo a390..
BROM ERROR:S_FT_NEED_DOWNLOAD_ALL_FAIL (4050). This is because the file system is read only. Ive trying other methods. Superonclick, Uberizer and ADB commands in order to mount file system into read-write mode, until now, unsuccessful. This A390 I bough from DX.COM and seems to belong to a operator wo-3g. And has been very hard to mount to RW. I don´t know how to do it and Ive been trying several examples on internet to try to RW the file system. And always the same response. The file system is READ-ONLY and can´t get out from this status. No methods works with this blocked file system. Anybody has the same problem or a solution? Ive got this error and try several other ways and the main problem is I just can´t and don't know how to change the file system to read-write. It remains read-only even using ADB commands. I've bought this A390 in DX.COM and it seems belong to the operator Wo-3g and absolutely blocked on the file system. Until now impossible to root. Besides it has no recovery menu pressing on+vol up.